It is any condition which results in an excess of water on the floor and takes a long time to dry. Just sucking the water out isn’t sufficient because there is ofter water trapped underneath the carpet which needs to be extracted. Depending on the weather, you may have to bring a dehumidifier in to remove the humidity in the air so that carpet dries. We can re-lay fitted carpet but if it requires cutting to lift it up then we will bring in a professional carpet layer the complete the work once the area has been dried and cleaned. 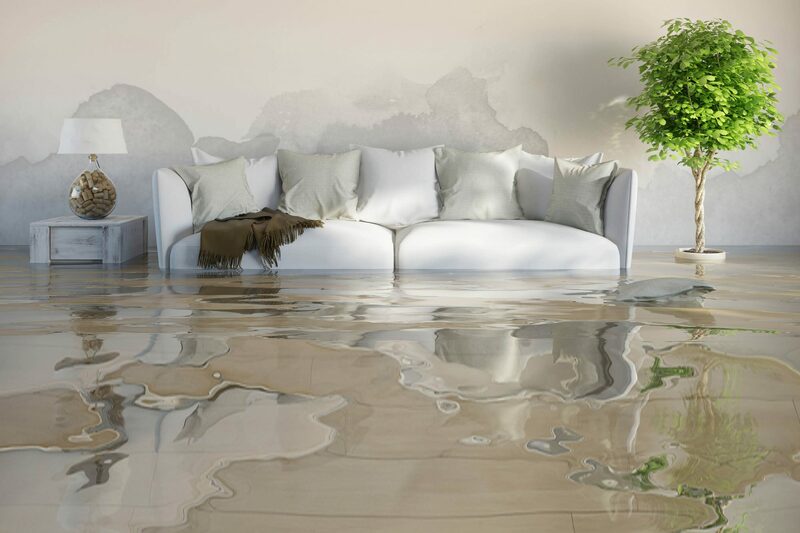 The side affects of water damage if the cleaning and drying is not done by a trained, experienced professional. One problem which can occur days or weeks later is a problem called browning. This is cellulose browning which is caused when the carpet backing is made of jute. The natural dye and tannin in the jute leaches into the carpet when damp. As the carpet dries, it leaves unsightly brown stains. Depending on the condition especially if it is old, the jute browning can ruin the carpet. It has to be chemically treated. If the chemicals don’t get it out, then you’re stuck with ruined carpet. That’s why you need to have insurance. Insurance generally is required because it works out to be quite expensive to remove the browning (if possible). On average it is around four to five hundred dollars per room for this because it is so time intensive with specialist machines. This is still can be cheaper than getting the carpet replaced. If water damage comes from a drain, then you’re in trouble. If it comes anywhere from a drain for a toilet, it means it’s backed up and the sewerage has come back into the house. This may mean removing the plasterboard and wall boards to get into the walls to clean the sewerage. This is to prevent bacteria and mould growing creating further health issues for the occupants of the house.